heavy downpours triggered another landslide in Bali resort island in central Indonesia on Saturday, bringing the total casualty of the disaster to 13 people with 5 others wounded, a senior official of Bali disaster agency said. 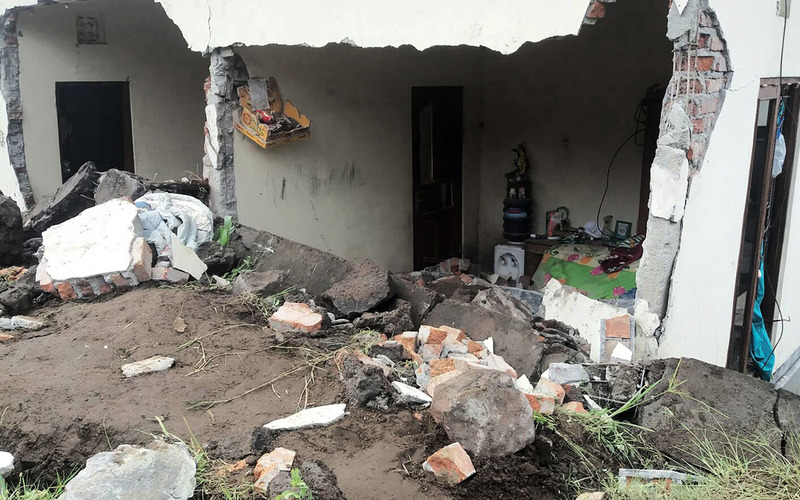 The natural disaster took place in Subaya village of Bangle district on Saturday morning, killing one person, said Dewa Made Indra, head of an operation unit of Bali disaster management agency, reports BSS. “The body of the villager has been recovered,” he told Xinhua by phone from Bali Island. Rains kept falling on Saturday, leading the local authorities to issue a warning to the people of the possibility of others landslides, floods or whirlwinds, the official said. Previously national disaster agency reported that landslides occurred in three villages of Songan, Awan and Sukawana in the district on Thursday and Friday, killing 12 people and wounding 5 others. Emergency relief efforts have been undertaken, involving soldiers, police,personnel of local search and rescue office and disaster management agency office as well as Red Cross, according Sutopo Purwo Nugoho, spokesman for national disaster management agency. Indonesia is frequently hit by landslide and flood during heavy rains.